Garrett started out riding the coat tails of his four-time national champ big brother, Wyatt, but that didn’t last for long. Now this up-and-coming cowboy is writing his own page in rodeo history. While he was a freshman in high school, Garrett earned the Idaho State All-Around Championship. He went on to the National High School Finals Rodeo to compete against 1,500 contestants from the US, Canada and Australia. 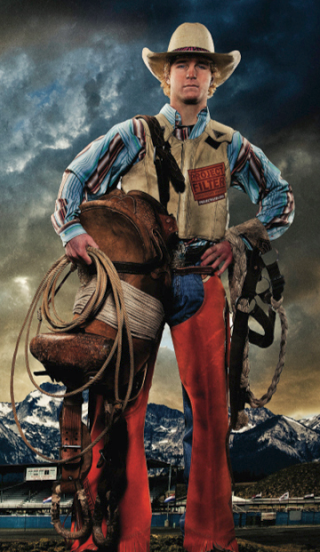 He won a National Championship there as the Rookie All-Around Cowboy. He went on to win that award for two more consecutive years. As a member of the Project Filter team, Garrett spends much of his free time encouraging youth to never stop short of their dreams and to make good choices by staying off drugs, alcohol and tobacco.